Taste test: These are kettle chips, but they are not as good as Cape Cod style. There's a fair amount of residue that gets left on your finger, a combination of oil and salt. 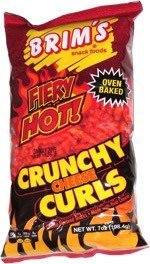 These appear to be more 'burned' than regular Cape Cod chips as well. Not great chips, but not awful either. 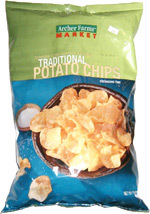 I think the flavored varieties of Archer Farms chips are better. Smell test: Not a good smell, kind of oily, but no 'flavor' type smell.